The Papa John’s Foundation has donated $500,000 to Bennett College, making it the largest gift that has been contributed to the Institution since administrators announced they need to raise a minimum of $5 million by Feb. 1 to try to remain accredited. In addition to the half-million dollars, Papa John’s has pledged to develop an ongoing relationship with Bennett College. Last year, Bennett College launched a fundraising campaign to reach a goal of $5 million by February 1. 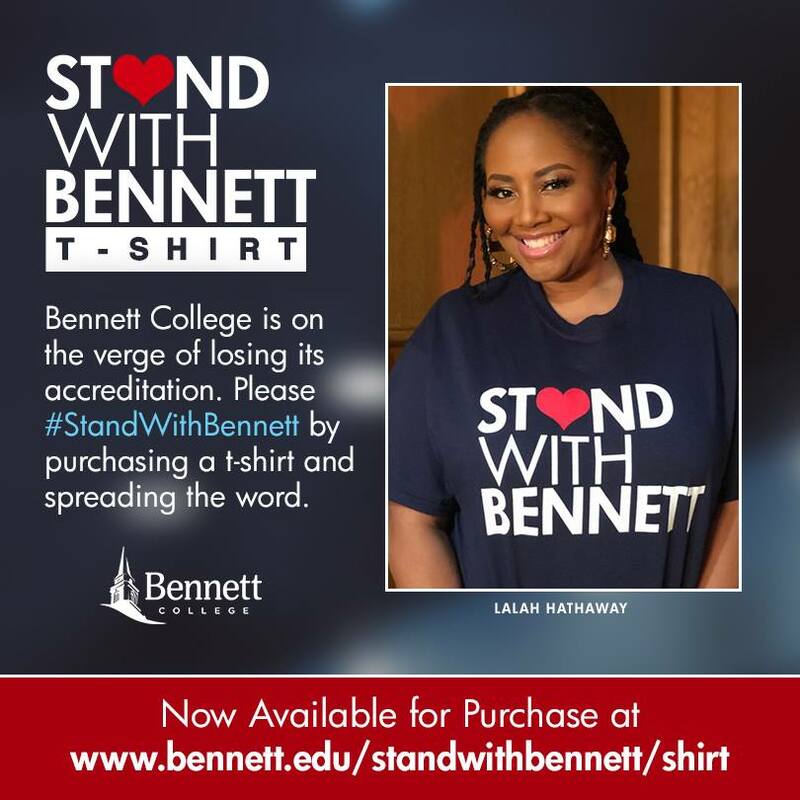 With the support of various celebrities, Bennett alumnae and other HBCU alumni and the viral #StandWithBennett social media campaign, the institution had reached about 30% of its goal. With the gift from Papa John’s, Bennett has now reached 45% of its $5 million goal. Papa John’s operates more than ten stores in the Greensboro area and will work with Bennett College and its partners to launch a national fundraising campaign to inspire other corporations and individuals to donate. In addition to the half million-dollar grant from The Papa John’s Foundation, the brand will purchase ads on national radio to raise additional awareness for Bennett’s campaign. These ads will air today through February 1, the deadline for Bennett to reach its $5 million goal. On Dec. 11, 2018, Bennett College was removed from membership in the Southern Association of Colleges and Schools Commission on Colleges. Bennett immediately appealed the decision and remains accredited during the appeal process. Bennett was removed strictly for financial reasons. The College was not issued sanctions against its academics, leadership, faculty or students. Founded in 1873 as a coeducational institution, Bennett became women’s only in 1926. Spelman College in Atlanta is the country’s only other all-women’s HBCU. Bennett has a history of producing outstanding women leaders, including: the first African-American woman licensed surgeon in the south; the first woman or African-American to head the U.S. Peace Corps, the first African-American mayor of the city of Greensboro; the first African-American female mayor in the state of Washington; the writer of the screenplay “The Loving Story,” which in 2016 was turned into an Academy Award-nominated motion picture; and the first woman to hold the position of Director of Drug Program and Policies and youngest Director within the Association of the National Football League Players Association (NFLPA); and the first African-American woman to serve as Assistant Attorney General in the state of Massachusetts – just to name a few. To join The Papa John’s Foundation and #StandwithBennett, please donate here. They are back at it again. The “Little Figures” student group has entered another math video in a nationwide competition, and they are already No. 1 on the leaderboard out of more than 100 submissions. 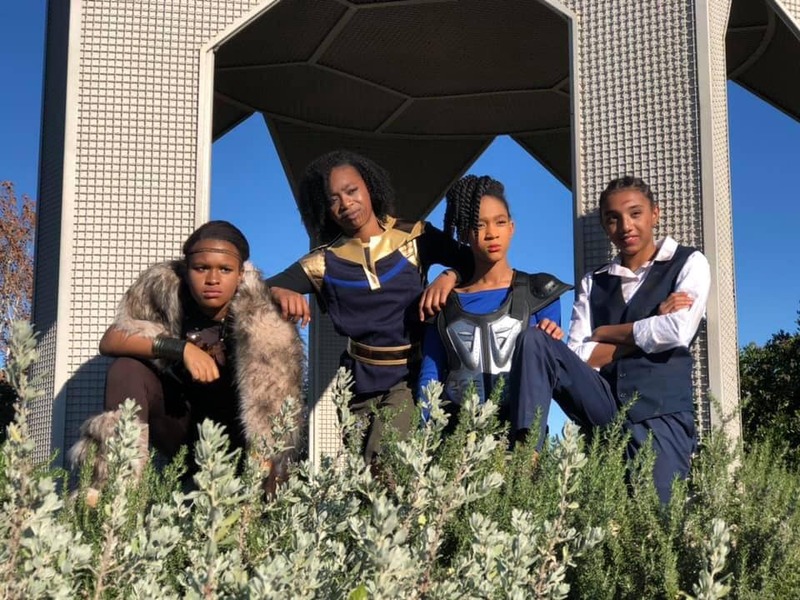 Iman Zakaria, Sydney Vaughn, Londyn Hall, and Breanna Hutchison recently showcased their submission for the 2019 national MATHCOUNTS video challenge at a local movie theater, and KENS 5 recently interviewed two of the team members about the Avengers-themed video. This new video centers on T’Chaya and the Avengers. The Avengers and Villains face off at Orlandia in a math challenge countdown. The Avengers call on the Little Figures and Tori of Mathkanda to help solve the math problem and help save the universe. Last year, the team (Breanna Hutchison, Londyn Hall, Iman Zakaria, and Lindsey Simmons), competed against hundreds of other students across the United States in the challenge, which empowers students to take their math and problem-solving skills to the next level with a creative video project. The San Antonio team traveled to Washington, D.C. for the MATHCOUNTS banquet to get their winning trophies and scholarships. Little Figures drew their name and inspiration from the Oscar-nominated “Hidden Figures” movie – the story of a team of female African-American mathematicians who served a vital role in NASA during the early years of the U.S. space program. The Little Figures team is also a part of the San Antonio chapter of the National Society of Black Engineers Jr. The team needs the support of the San Antonio community to make sure their video stay No. 1 by voting at videochallenge.mathcounts.org for the “Silver War Countdown” video every 24 hours through March 14. Visitors will have to create an account or login through a social media site in order to vote. All are invited to attend a conversation — live or virtual — about the impact of school segregation on public education in San Antonio and statewide during the event Dis-Integration: A Conversation on School Segregation in Texas Feb. 26 at 6:30 p.m. at St. Philip’s College in the Bowden Alumni Center on the third floor of the college’s G. J. Sutton Learning Center at 1801 Martin Luther King Drive. The event is free and open to the public, with free parking and online access as well. Brian Sparks, network principal in the San Antonio Independent School District. 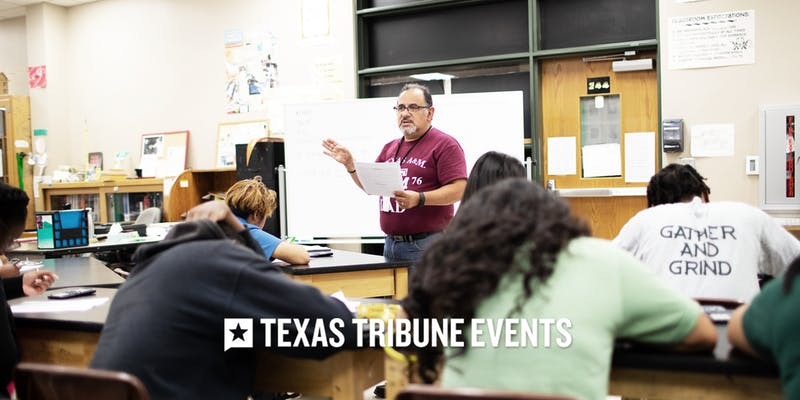 While this nonprofit event is co-hosted by both Alamo Colleges District and St. Philip’s College, it is supported by the Texas Association of School Business Officials and Pearson. Additional support is provided by the Bill and Melinda Gates Foundation and the Sid Richardson Foundation. According to its web page, “Each year we host 50-plus on-the-record, open-to-the-public live events — on college campuses, in community centers and everywhere in between — at which public officials, policy wonks and newsmakers answer for the work they’re doing and how they’re spending your tax dollars. Events are often available via livestream video, for those who can’t attend in person, and following the conversation we publish and archive video online. Dr. Hadiyah Nicole Green dedicated herself to fighting cancer when her aunt and uncle – who raised her, both died from it. While working towards a doctorate degree in Physics, Green began reading about how technology could be used to kill cancer cells. She then dedicated numerous years of her life towards hands-on work and research. The end result was the development of a laser technology using nanoparticles that destroyed cancer cells without affecting healthy cells. Green was orphaned at an early age and thus, went to live with her aunt and uncle in St. Louis, Missouri. After completing high school, she attended a computer science summer program at Xavier University. She proceeded to Alabama A&M University with a full scholarship and earned her Bachelor’s degree in physics and optics in 2003. 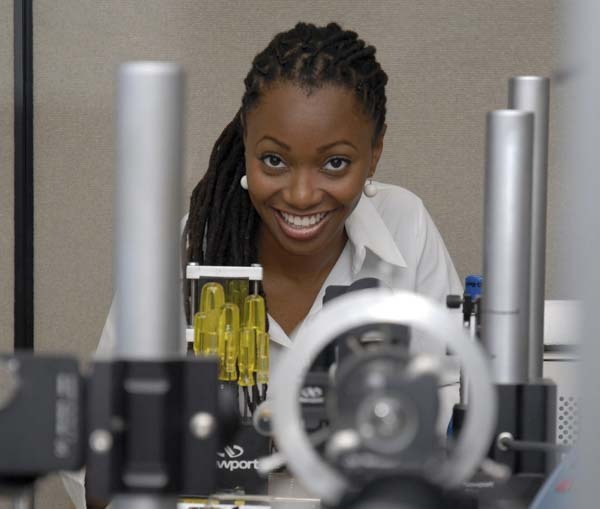 She initially changed her major three times before finally deciding on physics.